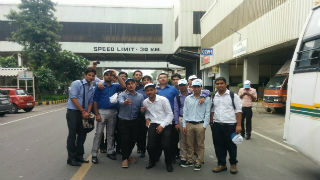 The students of PGDM and PGDM(IB) , First year batch went for an industrial plant visit to Maruti Suzuki factory in Gurgaon on 8th August 2014. 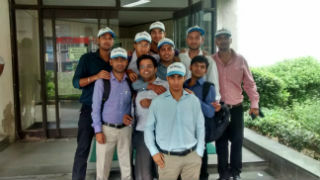 At the plant, the students were briefed about the car manufacturing process by their technical staff. Then students were taken around various divisions and explained about the operations in each division. In all there are 5 divisions – press division, weld division, paint division, assembly division and quality check &inspection division. Later they were taken to the conference room, where a presentation on the history and evolution of Maruti Suzuki was shown. Few students also met the senior executives of the company and presented them with a bouquet of flowers.